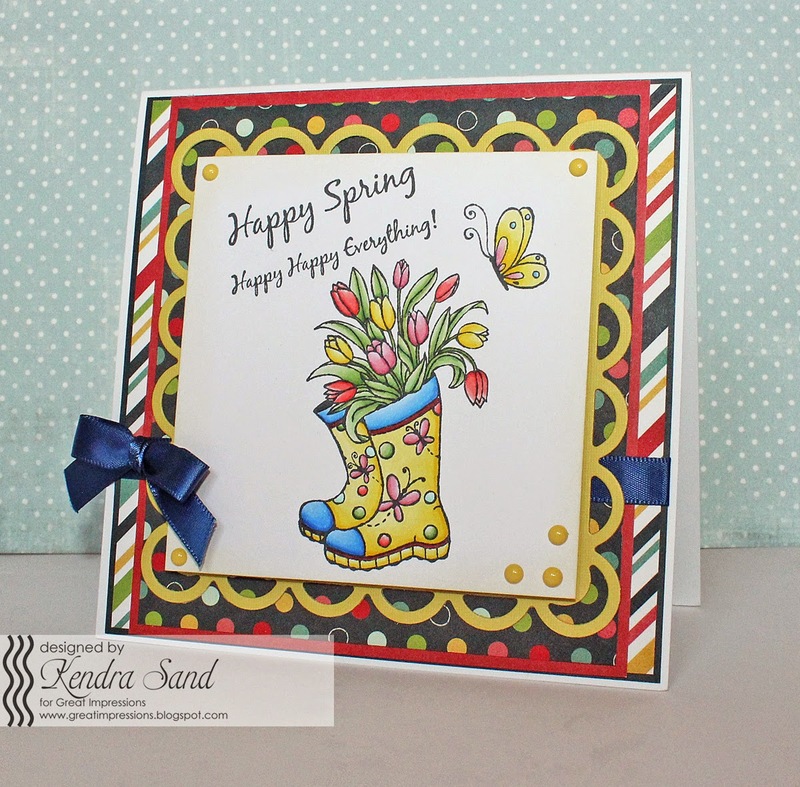 Kendra from Luv 2 Scrap 'n Make Cards here today to share a fun Spring inspired card!! Most of the time when I start a card, I usually first pick the image, which is what I did with this card, but usually I just start coloring it! Not this time, I pulled out my paper and picked out my paper first and colored my image based on the colors! 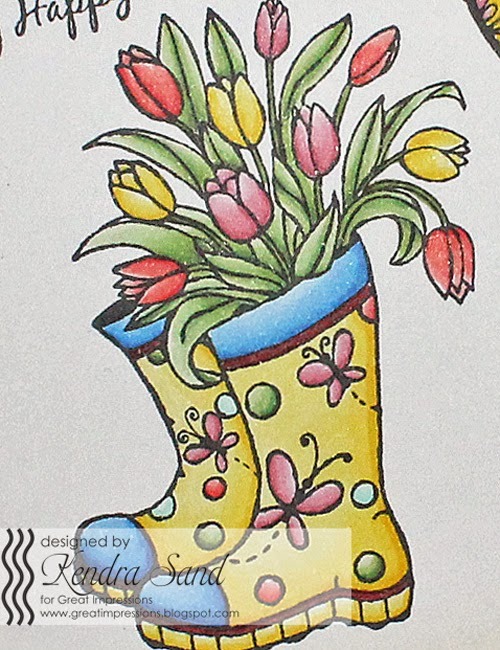 I love the F545 Spring Boots image! It's a super fun image to color! I also added the pretty A149 Dainty Butterfly!! Along with the fun new B246 Happy Everything sentiment! !